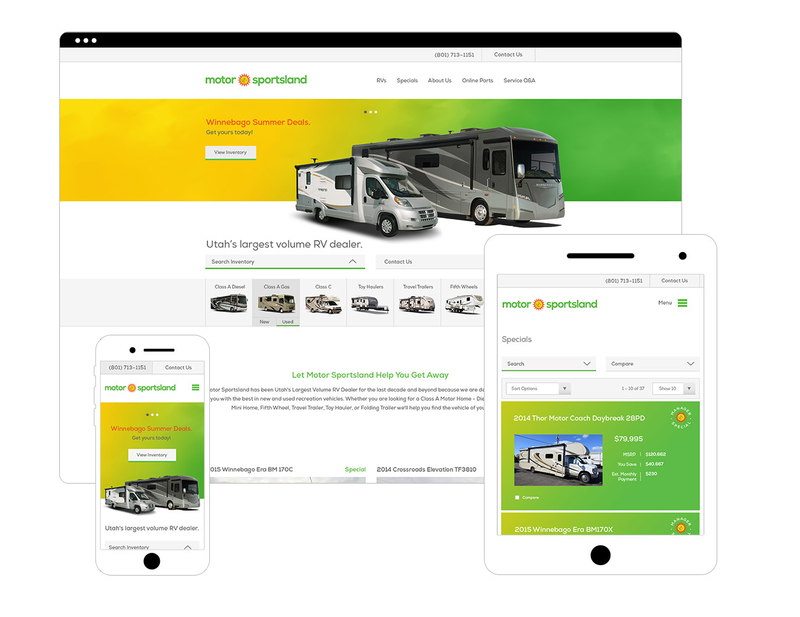 As Utah’s largest volume RV dealer, Motor Sportsland needed a new web design that was responsive and that could meet the needs of their growing business. We designed around their existing inventory and database, implemented an live ajax search feature and cleaned up the user experience. Breathing new life into the brand, we made the website something people would enjoy using. The old Motor Sportsland logo was replete with heavy drop shadows and bizarre color gradients. I redesigned it with a cleaner typographic treatment that removed all of the heaviness, and simplified the gradients into a flat harmonious color palate.